SINGAPORE - The Los Angeles-class, fast attack submarine USS Santa Fe (SSN 763) arrived at Changi Naval Base, Oct. 23, for a visit as part of her deployment to the Western Pacific. 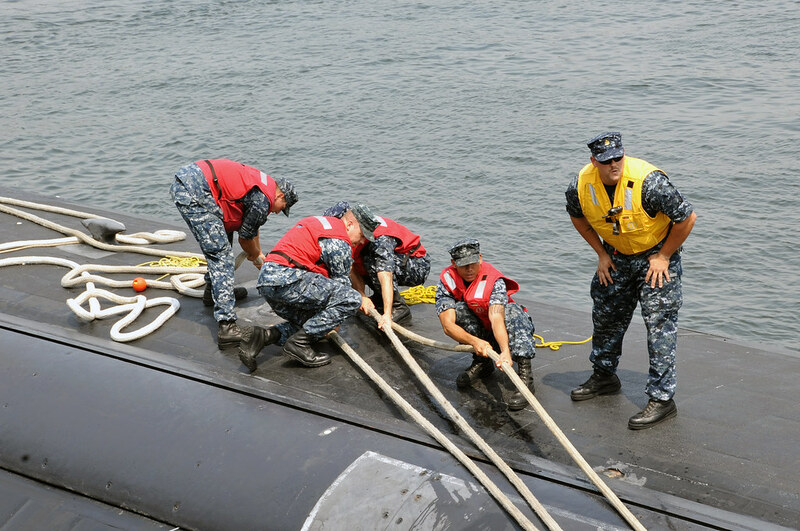 With a crew of approximately 135 men, Santa Fe will conduct a multitude of missions and showcase the latest capabilities of the submarine fleet. "Santa Fe is honored to be guests of Singapore and the Republic of Singapore Navy (RSN)," said Cmdr. Timothy J. Poe, Santa Fe's commanding officer. "The wealth of culture that my crew will experience in this great country will enhance cooperation and understanding between the U.S. Navy and the RSN." Santa Fe is a preeminent weapon in the nation's naval arsenal. Exercising dominant control of the littoral and open sea, Santa Fe prepares the battle space, promotes maritime security, and deters aggression across the globe. "This is a great opportunity for our Sailors to experience the world and get some much needed rest," said Gonzalez. "Our motto is 'Fight Hard, Play Hard' - we've done the first part of our motto, now it's time for the second." This will be the first visit to Singapore for the majority of the crew and the excitement can be sensed throughout the ship. "I can't wait to try some different food and experience the culture of another country," said Culinary Specialist Seaman Dustin Bullock. "I'm also excited about catching up on Kentucky Wildcat football!" Santa Fe, named after the city of Santa Fe, N. M. is homeported in Pearl Harbor, Hawaii, and is assigned to Commander, Submarine Squadron 7. Measuring more than 360 feet long and weighing more than 6,800 tons when submerged, Santa Fe is among the world's stealthiest platforms. This submarine is capable of supporting a multitude of missions including anti-submarine warfare, anti-surface ship warfare, strike, naval special warfare involving special operations forces, and intelligence, surveillance and reconnaissance.